Due to unforeseen circumstances, the Golden West Theater Arts department’s scheduled production of CIRCLE MIRROR TRANSFORMATION has been cancelled. 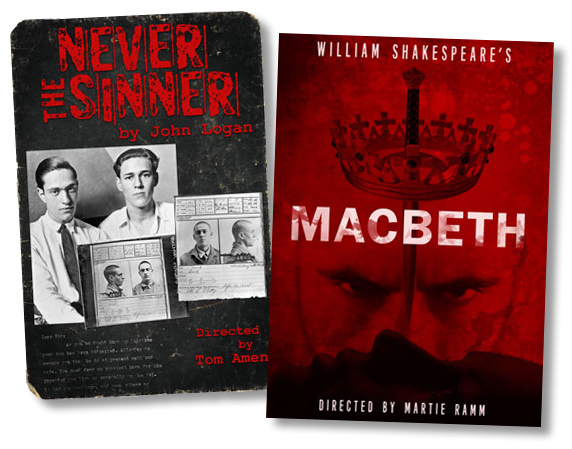 However, NEVER THE SINNER, a thrilling play about the Leopold and Loeb trial by John Logan, opens next Friday October 6 followed by an exciting and mysterious production of William Shakespeare’s MACBETH opens November 10. We look forward to welcoming you to these productions. Thank you for supporting live theater.